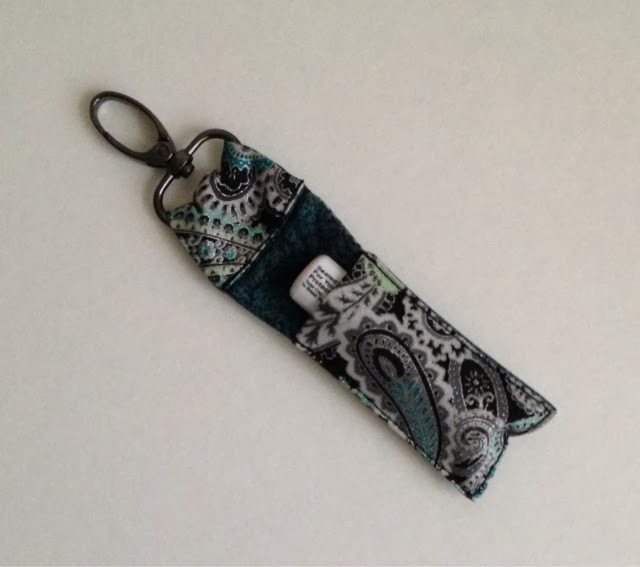 I followed the tutorial by Little Bit Funky for the Chapstick Cozy - Five Minute Edition (www.littlebitfunky.com). It was quick & easy. I didn't have a plain d-ring in my stash but I did have the clip ring that I was going to use to make a new lanyard for my keys - it worked perfectly! It can now hook onto my purse or tote bag. Edit: It also fits my Clinique lipgloss!!! Oh I love it!! Maybe if I'm good Santa will bring me one ;).